DUBAI, United Arab Emirates – Dubai loves breaking records. With its endless crop of skyscrapers, ultraluxurious hotels, and outlandish opulence, this city on the Persian Gulf fueled by tourism and oil money resembles a cross between Hong Kong and Las Vegas – hopped up on steroids. Dubai is not shy about trumpeting its accolades and accumulating new ones. It now owns more than 100 Guinness World Records – including the largest shopping mall, largest man-made island, largest book; even the longest handmade gold chain (about 3 miles in length). But no record earns Dubai more recognition and better epitomizes its extravagance than Burj Khalifa, the world’s tallest man-made structure. Resembling a hypodermic needle, it soars 2,722 feet out of the Arabian Desert above one of the most expensive square-miles of real estate on the planet. Burj, an Arabic word that means “tower” in English, was named after Sheikh Khalifa, the current president of the United Arab Emirates. It took six years to build at a cost of $1.5 billion, opening five years ago. At that time, it surpassed the prior record-holder – a tower in Taiwan – by more than 1,000 feet. 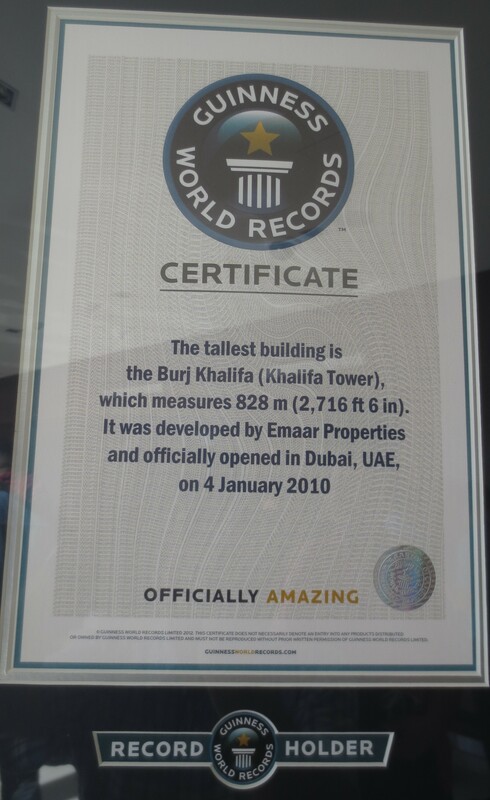 In addition to holding the world’s record as tallest building, Burj Khalifa owns more than a dozen other records, including the building with the most floors (163), the world’s highest observation deck (148th floor), and the world’s highest nightclub (144th floor). It is twice as tall as the Empire State Building and about three times the size of the Eiffel Tower. To make a local comparison, Arizona’s tallest building – Chase Tower in Phoenix – is a mere 483 feet tall. Standing the two buildings side by side is proportionally equivalent to comparing an average-height American woman with a Barbie doll. Yep, the Burj is tall. But size isn’t everything. The Burj also is an engineering marvel and entertaining attraction. Several times a day, throngs of tourists are treated to a Bellagio-style fountain show set to Arabic, classical and international music on a 30-acre lake at the base of the building (to see a video clip of the fountain show shot by the author, click on this link: Burj Khalifa fountain show.) Indeed, both sets of fountains were designed by the same company. The Burj’s fountain shoots water jets as high as 50 stories. The public entrance to the skyscraper – which houses offices, hotels, apartments and restaurants — is on the lower ground level inside the Dubai Mall, the world’s largest shopping mall based on total area with some 1,200 stores. The shops are as ritzy and pricey as you’ll see on Rodeo Drive. The mall also houses the world’s second-largest aquarium (the aquarium does own the world record for the largest acrylic glass panel) and an indoor ice-skating rink. We visited the Burj early on a Sunday morning in March. Fortunately, we had made reservations in advance as tickets to take an elevator to the 124th floor viewing platform were sold out for the day. On most days, you can buy a “fast-track” elevator ticket on-the-spot, but it’s pricey at 300 UAE dirhams — about $82. 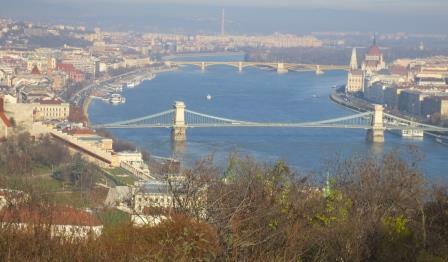 There is also a viewing platform on the 148th floor, but it is even more expensive. Reservations made in advance can be bought for as little as about one-third of the “fast-track” price, depending on the time of day. Sunset is the busiest. For further details about tickets and prices, see www.burjkhalifa.ae/en/. Before heading up to the top, it’s worth spending some time at an interactive, multimedia museum where you can learn all sorts of fun facts about the history of Dubai and the United Arab Emirates, the construction of the Burj, and how it compares to the world’s notable skyscrapers. 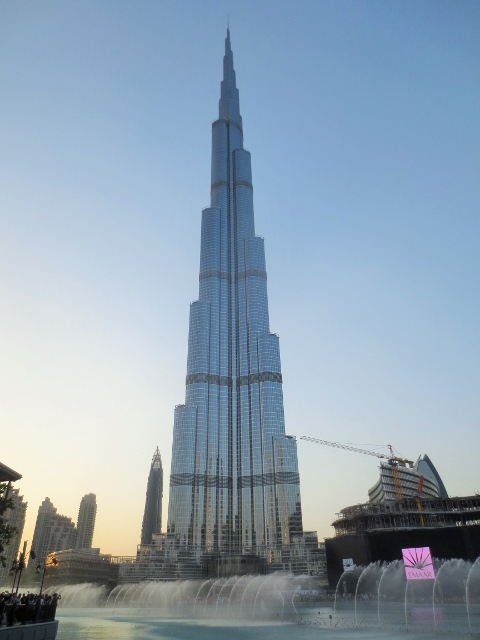 For instance, it took 12,000 workers from more than 80 countries to erect the Burj. And the total amount of concrete used in the construction of the building would equal the approximate weight of 100,000 elephants. The Burj isn’t just tall, it’s got a weight problem. 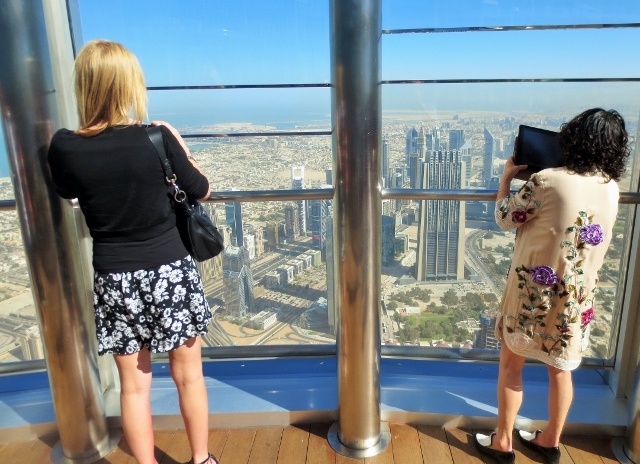 Socorro Alberto, who has worked in the Burj’s marketing department since the building opened, says that up to 10,000 tourists visit one of the building’s upper viewing platforms each day during Dubai’s busy winter season. One of the fastest elevators in the world (surprisingly, this is one record the Burj does NOT hold) whisked us from the ground floor to the “At the Top” viewing platform on the 124th floor in just 60 seconds. There, in a 360-degree, glass-enclosed viewing platform, we could see about 60 miles in each direction. 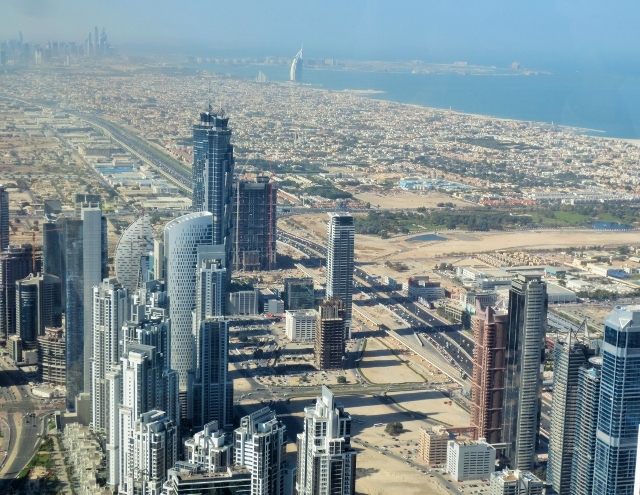 The views of the city’s skyline, the golden sand dunes of the Arabian Desert and the sparkling waters of the Persian Gulf were as stunning as one would expect on a sunny, clear day. I especially enjoyed looking through a high-powered electronic telescope. 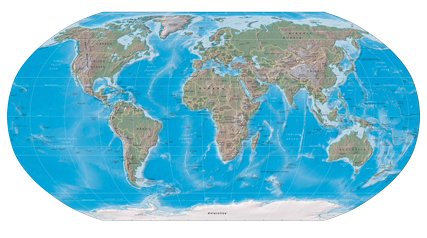 With a push of a button, you can see what the same view looks like at different times of day. Finally, a “historic” setting shows what the views looked like 25 years ago, when Dubai’s population was less than one-fourth of its current 2.1 million. Then, there were far fewer skyscrapers and a whole lot more desert sand. The Burg also offers a great view of Dubai’s other notable site, the Burj Al Arab, a hotel that resembles the billowing sail of a ship. Often referred to as the world’s only seven-star hotel, Burj Al Arab was built on an artificial island and is connected to the mainland by a private bridge. According to the hotel’s website, a “panoramic one-bedroom suite” can be booked for about $3,300 per night, personal butler included. If you really want to go high-end, the “Royal Suite” will set you back more than $18,000. From what felt like the top of the world, it was hard to argue.